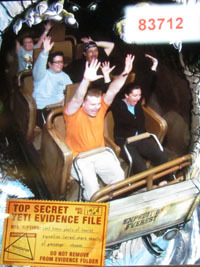 We had a very full day at Walt Disney World yesterday, with a short visit to Epcot before heading to the Magic Kingdom. 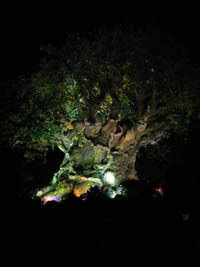 We ended our day at Animal Kingdom, for the Expedition Everest 5th Anniversary Passholder Event. 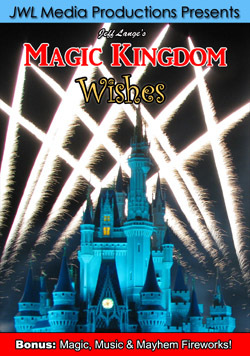 Our first stop at the Magic Kingdom was to ride the Walt Disney World Railroad, and it was the first day of the Storybook Circus and New Fantasyland artwork now being on the walls (below left and right). 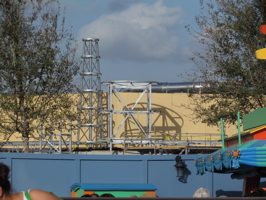 There is now a solid wall where the mesh fence used to be. 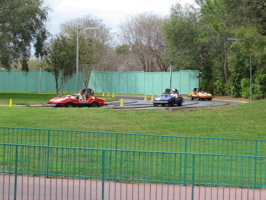 The Tomorrowland Speedway has cones along the track that can be seen from the train (below, left). 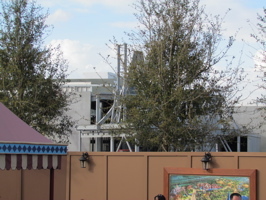 There are a lot less trees now when you look into Mickey’s Toontown Fair from Fantasyland (below, left), even Goofy’s Barnstormer roller coaster tracks are now visible. 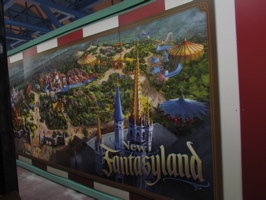 Video #1 – New Fantasyland/Storybook Circus Art at Toontown Station from Walt Disney World Railroad, 3/5/11 – This is the former Toontown Railroad Station, where the train stops to add water. 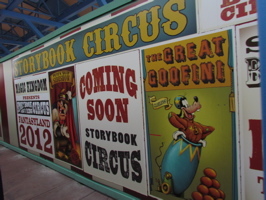 Signs for the upcoming Storybook Circus are now on the walls, which have been changed from a mesh fence to solid wall. 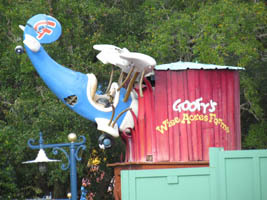 We didn’t have the time to ride Dumbo, but we did take some photos of the continued progress of New Fantasyland (below left and right). 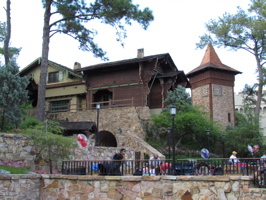 Disney filed permits to tear down the Fantasyland Skyway station (below, left) in order to expand the Peter Pan queue (rumor is that it will be interactive). 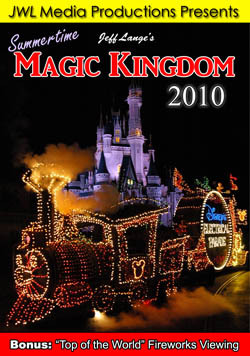 The Skyway station land would then be turned into restrooms. 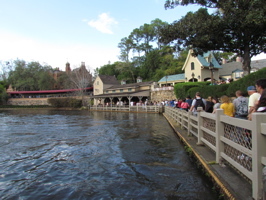 We also rode the Liberty Belle to get a look at the Haunted Mansion queue construction (below, left). 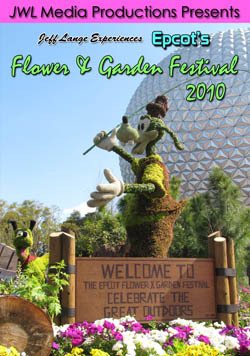 This may be our last visit there before the queue opens to the public! 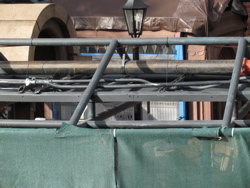 There are some changes at the Haunted Mansion queue (below left and right), but not as much visibly noticeable as on our last two visits. 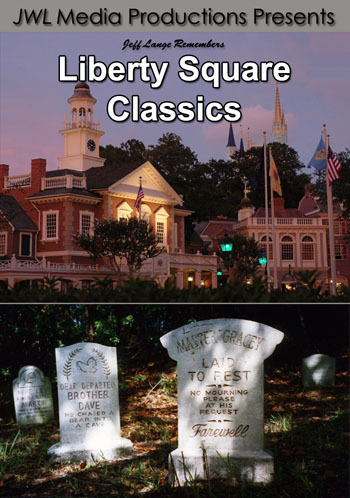 We have full coverage of the old gravestones being installed as well as the new projected hitchhiking ghost effects HERE. 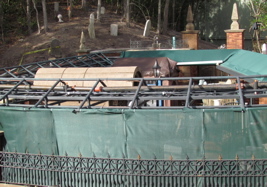 Video #2 – Haunted Mansion Interactive Queue Construction New Crypts Update 3/5/11 Walt Disney World – The new Haunted Mansion queue should be opening very soon (rumors are possibly this week). 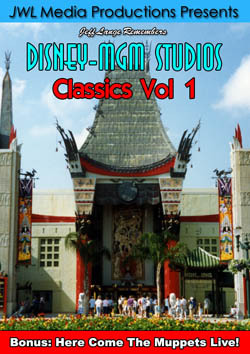 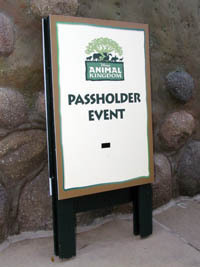 We attended the Annual Passholder event at Animal Kingdom for the 5th Anniversary of Expedition Everest (below, left). 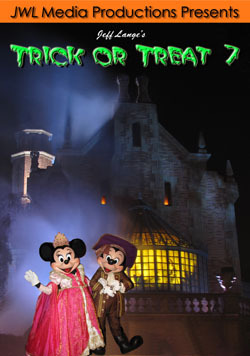 It was a fun evening – one of my favorite parts was seeing Mickey and Goofy in their adventurer outfits (below, right). 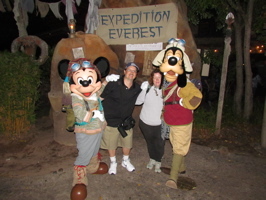 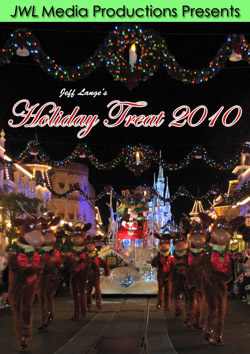 We posed with Mickey and Goofy (below, left) when the line shortened. 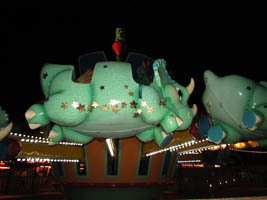 After riding Expedition Everest twice, we headed to Dinoland and rode TriceraTop Spin (below, right). 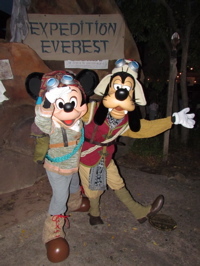 Video #3 – Expedition Everest Anniversary Passholder Event Mickey & Goofy 3/5/11 Adventurer Outfits – Mickey and Goofy greet guests at the Everest Passholder event in their unique Adventurer outfits!